The daily census at Metro General is down to roughly 40 patients, making it one of the least busy hospitals in Davidson County. But advocates for the uninsured say that's still 40 patients who are getting care that might have trouble finding it elsewhere. A plan that would end Nashville's long history of running a public hospital is basically an argument that the city doesn't really need one — and that other medical centers in town already dole out far more charity care, especially as General Hospital's caseload has dwindled to 40 patients a day, operating at just a third of its capacity. Yet those who serve the uninsured say the facility still plays a critical role. 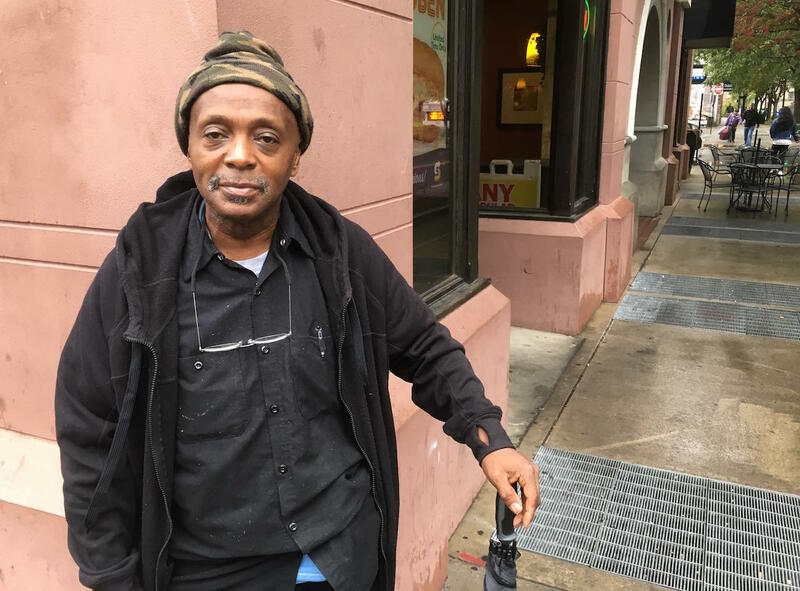 "I look at Metro General as 'the people's hospital,' " says Ernest Anderson, a patient who spoke to WPLN while a quiet pump sucked fluids from his foot, where his pinky toe was recently amputated. At 58, Anderson's feet are in rough shape. Decades of drug abuse and not managing his Type 1 diabetes have taken a toll. A few years ago, he hobbled into the emergency room of a private hospital in town. Every ER is required to treat anyone who comes through the doors. "I was told that it wasn't an emergency," he said, showing his festering foot. "My foot was swollen and infected. It was stinking and they said, 'Well it's infected and it's stinking. We're going to give you some antibiotics, and you go see your primary doctor care.' "
Every ER has to be smart about who gets admitted, but Anderson says anytime he's tried to use a private hospital without insurance, he gets the sense they want him gone as soon as possible. General Hospital, on the other hand, seems to have open arms. Ernest Anderson has had two recent surgeries, one at General Hospital. After getting insurance through Medicaid he had another foot surgery at Saint Thomas Midtown. "It always has been like that," he says. "You might have had to wait a while, but you got care." Metro General is heavily subsidized by the people of Davidson County. In fact, the government has had to regularly provide mid-year cash bailouts because the hospital blew through its $35 million from taxpayers. And that is why city officials say it's time to do something else. They were already getting more testy about budget overruns. "I think that people underestimate the responsibility of the hospital, the difficulty of providing services for a community that lacks resources," says Katina Beard, CEO of Matthew Walker Comprehensive Health Center, a nonprofit clinic in North Nashville. Anyone who comes to the health center and ultimately needs a hospital is directed down the street to Metro General. Maybe it's general surgery or to deliver a baby. Often, they're referred back to this clinic for follow-up care. Beard says no one else in town makes it easy to see someone who has no ability to pay. "A patient that needs to see a cardiologist that doesn't have any insurance, those appointments could be six, seven months out," she said. "Even with Nashville General in the mix, they are a significant time out, so with them not in the mix, it's concerning." The management of Metro General had been quiet about plans for the future until an emergency board meeting on Friday. They hadn't attended Mayor Megan Barry's announcement and said they were not informed of the restructuring plan before her news conference. Now they say they'll try to avoid closure of outpatient services, though they're in a difficult position because they only have enough money to operate through Jan. 30. Roughly, the mayor's plan is to maintain some specialty services on an out-patient basis — perhaps run through a contract with a private hospital. For those who need in-patient care, Barry has proposed creating a fund that would help pay their bills at other medical centers. It's unclear how this would work. But in her view, Beard says such a system will take an attitude adjustment. "If the mayor does come up with a voucher system, how difficult will the hospitals make it for our patients to be seen who don't have insurance?" she asked. Still, there is a concern about uninsured patients being billed into oblivion. When Metro General declares a patient indigent, it doesn't even try to charge them (see discount scale here). But private hospitals can't afford to be so lenient. "If I go to the hospital and I run up an $80,000 bill and I have no means of paying that, therefore I now have it on my credit history, and I can't pay it back, and I continue to spiral further and further on the poverty spectrum," says Reginald Coopwood, General Hospital's former CEO, now leading the public health system in Memphis, known as Regional One. Coopwood said he understands all too well the challenge of making Metro General work. He faced the same stiff headwinds when he was at the helm — like intense competition for insured patients from nearby hospitals with healthy marketing budgets and a persistent stigma that if you have a choice, go anywhere but General. "It's easy to say, 'We're going to stop funding public hospitals, it's not our responsibility,' " Coopwood says, noting that people might be surprised to see who falls through the cracks when one closes. "Those individuals who need quality care and don't have coverage because of our health care system, they will always be with us." Nashville’s General Hospital — the city-subsidized “safety net” hospital for low-income patients — is considering cuts to services. But its leaders are also appealing to the Metro Council for more funding. In hosting town hall meetings the past two weeks, Nashville’s Metro General Hospital has been hearing testimonials from patients. But hospital leaders have also used the moment to tout reforms — and they believe they can attract new patients who choose to be there, instead of as a last resort. Nashville’s “safety net” hospital — Metro General at Meharry — has undergone a series of blistering budget hearings over its continued dependence on city funding. But instead of shying away, the hospital launched a series of town hall meetings to hear patient testimonials.